Perfectly located in a genuine Little Oneroa position less than 5 minutes walk to gorgeous Little Oneroa Beach (approx 350 metres away) with its beautiful white sands, a playground for the kids and a conveniently located dairy. Just 2 minutes drive or around a 10 minute walk to the Oneroa cafes, restaurants, bars, shops and beautiful beachfront. Less than 5 minutes drive by car or taxi to the Matiatia Ferry with buses leaving to go to the ferry from the bottom of Tawa Street. The car ferry at Kennedy Point is also handy being only around a 5 minute drive away. This cute two bedroom bach is ideal for a couple or cosy for four. With huge covered decks (now with wind down clear blinds that allow all weather use, and comfy outdoor furniture settings make this like a huge outdoor room) that enjoy gorgeous wide sea-views over Blackpool Beach/Huruhi Bay and a gently contoured 1138m2 genuine quarter acre section complete with off-street parking (plenty of room for boat parking etc.) this iconic Kiwiana bach comes complete with everything you will need to ensure a carefree holiday, whether you want all of the modern luxuries or just want to relax, feel at home and enjoy those special family moments. This much loved bach will allow you to 'capture the past' and take you back to a time when summers were endless and holiday homes didn't take themselves to seriously! WiFi/internet access and air conditioning now also available. $60 cleaning fee (money well spent so you don't waste your last day running around cleaning the place when you could be relaxing!). Linen is charged at $40 per stay for up to four people. Coffee, tea and pantry basics are supplied on arrival. Please note: there is a $75 additional charge for single-night stays. Pets will be considered on a case by case basis. $75 additional charge for single night stay; A $60 cleaning fee is payable (and well worth the money so you can really enjoy every minute of your stay andamp; not spend precious time running around cleaning on your departure day). Linen is charged at $40 per stay for four people. Smoking outside the bach is ok - but please dispose of butts safely in the rubbish. Pets considered on application. There are huge covered decks, both front and back of the house, ideal for relaxing. Everything we needed for a fantastic stay.Thank you. Second stay at the little O Bach and not disappointed, met all our requirements, thanks. Had everything we needed for a relaxing stay. Had everything we needed for a relaxing stay. Close to town and beach. Great views and so quiet . High quality well equipped Bach. High quality well equipped Bach. At the top of Tawa St so a steep hill to and from the beaches is the only drawback if bothered by hills! We enjoyed our stay at Little-o-bach. We enjoyed our stay at Little-o-bach. Very clean and tidy and well equipped. 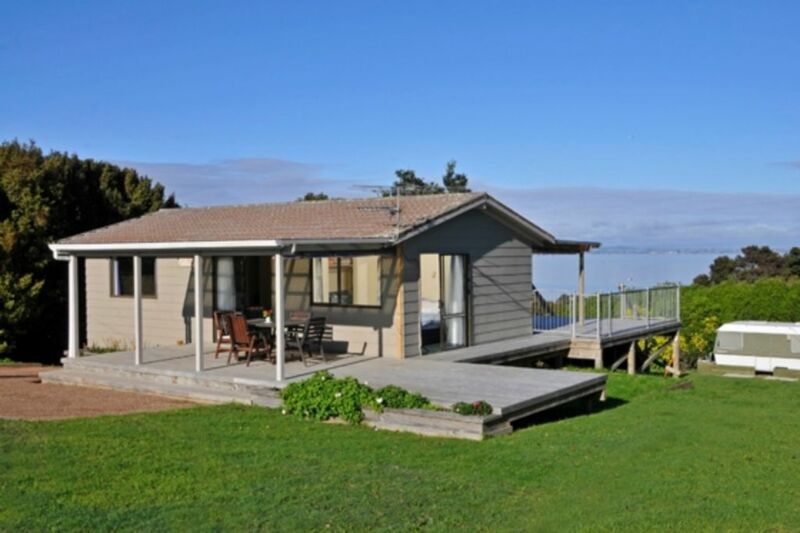 A great location- can walk to the beach or into town. The deck has great views and we enjoyed watching the birdlife.